V-Line Ind. 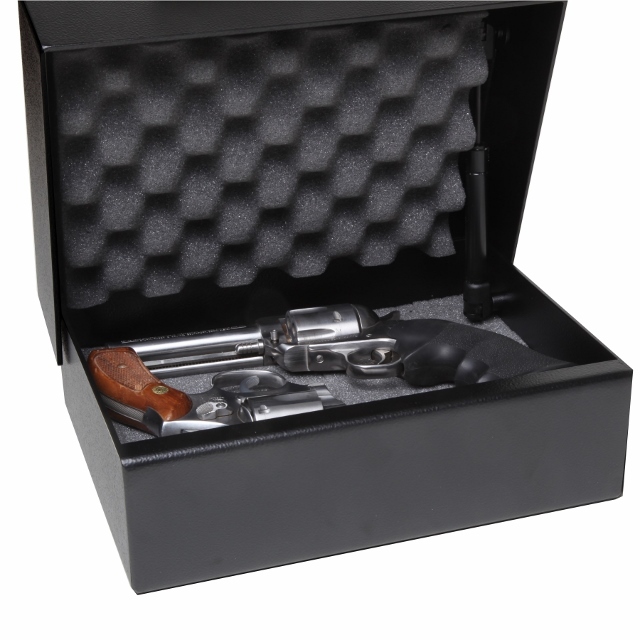 introduces the new “BRUTE” super duty quick access pistol box. 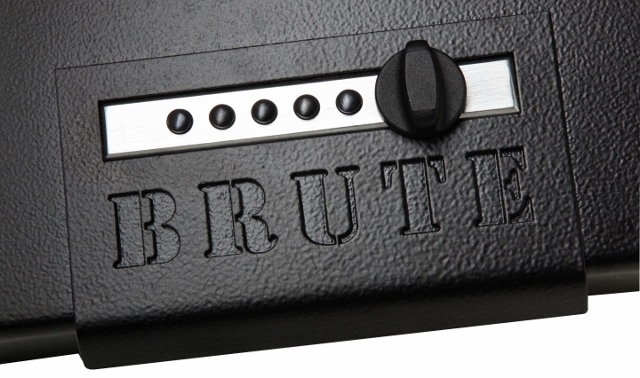 The “BRUTE” is the perfect solution for keeping hand guns and valuables safe and out of reach of the wrong hands. Constructed of rugged 10ga. 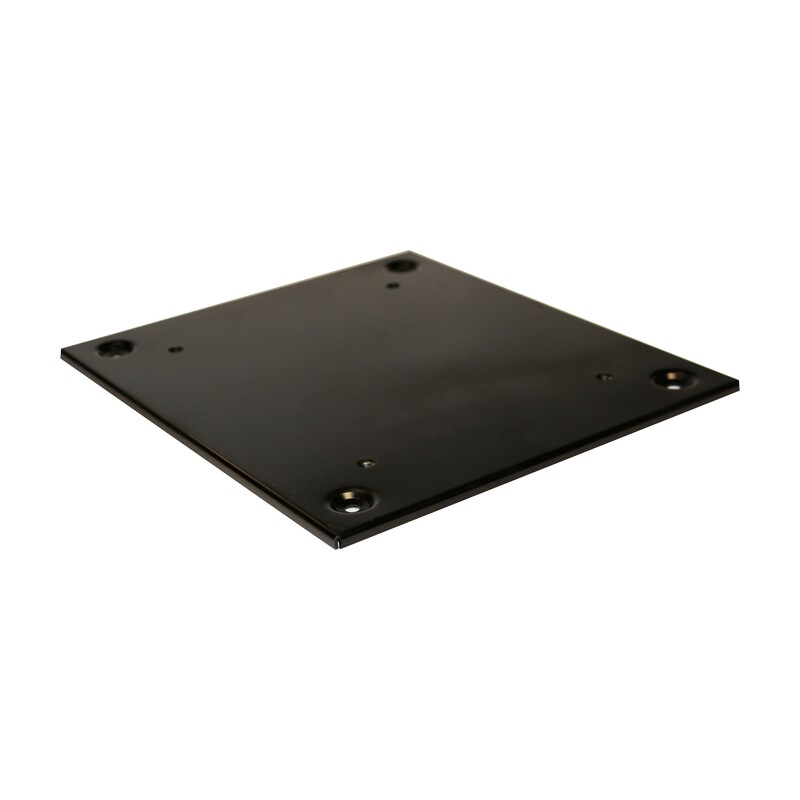 steel with an overlapping lid making it virtually pry-proof when bolted down to a solid surface. The “BRUTE” is nicely finished in a durable tactical black powder coating. 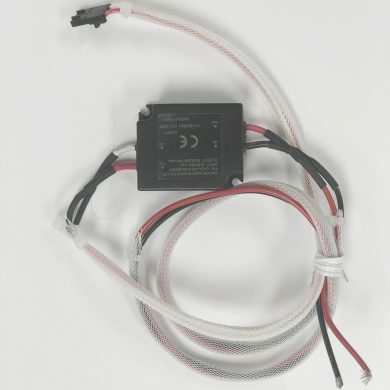 The reliable SIMPLEX five pushbutton mechanical never requires batteries. 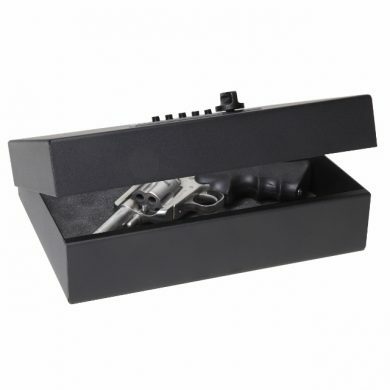 If you are looking for a quality, heavy duty, tough and secure pistol case, look no further than the BRUTE. SKU: 851476006276. Availability: In stock Size: N/A Category: V-Line Tactical. 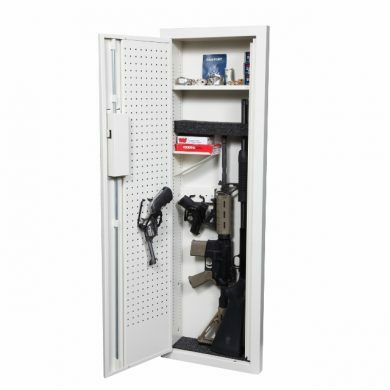 Tags: accessories, bolt down, Brute, gun case, guns, heavy duty protection, lock box, made in USA, protect, quick access, safe, Security, security cabinet, security case, simplex lock, storage, V-Line Ind., vault. Excellent Product!! 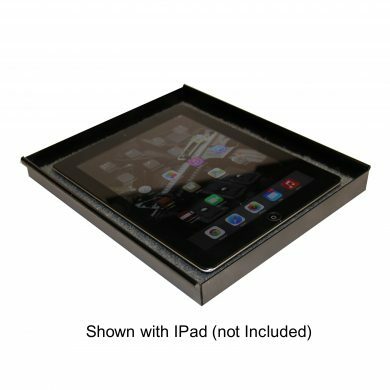 This case is heavy duty and easy to use. The Simplex lock is great! No need for batteries and the combo is easy to change. Highly recommended. After exhaustive research , I decided to purchase the Brute. It was disturbing to see how easily the competitions safes were opened. This case is super heavy-duty. Very solid and I like the fact that the lock is mechanical and NOT electronic. The independent reviews on the internet clearly showed that this case is tough and reliable. Looking forward to years of use. Nice product. Solid. Like it was made in USA. Nice capacity for my .45 ACP and clip. Room still for credit cards, Jewlery etc. I think lock numbers should go from 12345 instead of 54321 counter intuitive and could cause confusion in stress situation. Would have liked to have seen white numbers stamped under each pin. If cost is an issue get rid of that laser cut BRUTE logo and add the numbers. At least offer as an option. I solved my problem by putting numbered stickers under each pin. This is a well made, heavy duty safe. 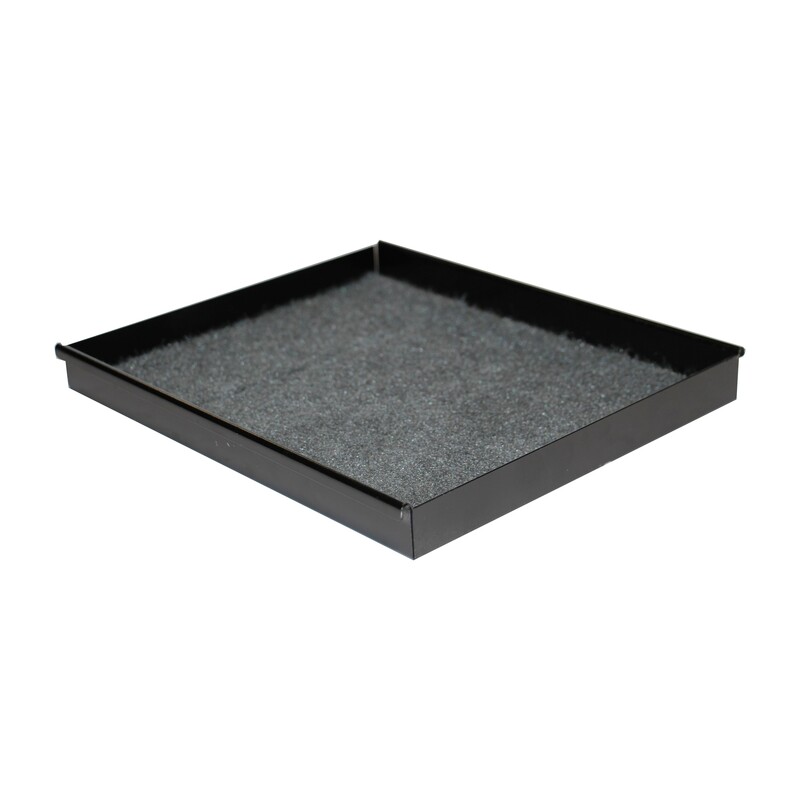 It came with two removable pluck foam panels along with a removable solid foam panel. Each panel seems to be around 1/4 inch thick if I had to guess. There is also foam attached to the inside of the lid as well. 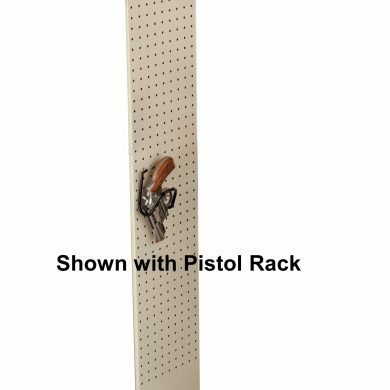 I wish there were mounting brackets for this, but it looks like all their brackets are for the other handgun safes. Honestly, this safe may be too heavy to go on a bracket anyway. I ran 1/4 inch steel cable through the 1/4 inch holes drilled in the bottom of the safe to allow me to attach the safe to the bed frame. You either have to cut the cable or dismantle the bed to get the safe. 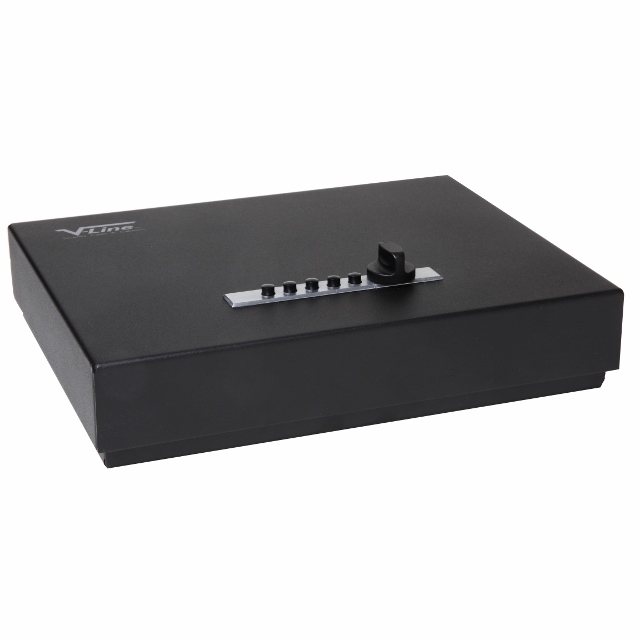 VLine, if you don’t offer a bracket for this safe, it would be nice to have two 1/4 inch holes drilled in the back of the safe for cable attachment and maybe even sell a cable attachment for this safe. Still, this is 5/5 stars for such quality. 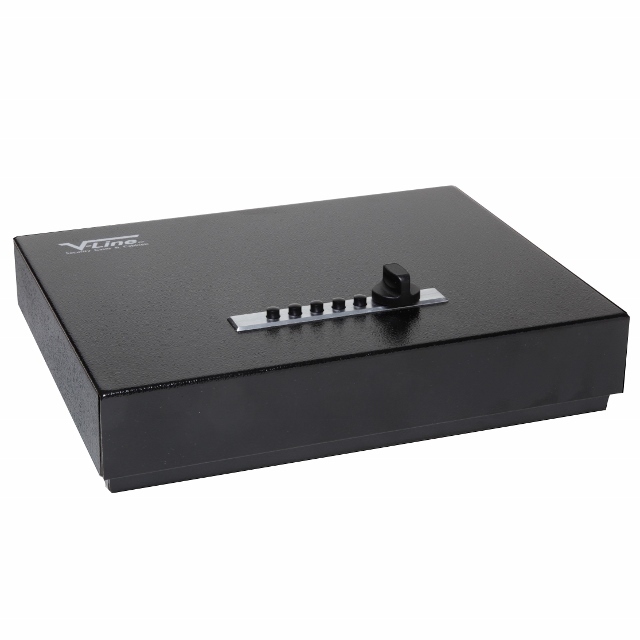 This safe is simple to use and is by my bed for home safety. So happy with this safe and my wife feels alot safer with having this product next to us. This safe is simple to use and is by my bed for home safety. So happy with this safe and my wife feels alot safer with having this product next to us. I recommend this safe to anyone….. it good quality and easy to use. The simplex lock and gas opening strut sets this safe above others. 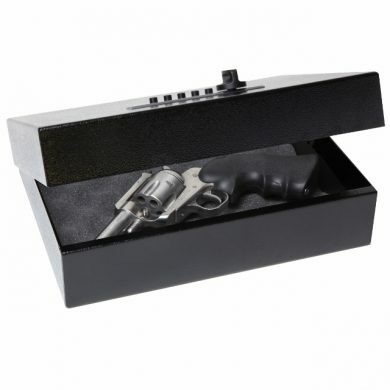 I keep the safe on my nightstand can have the safe open in about 3 seconds if needed. Best case on the market. I received this safe to secure my pistol at work. 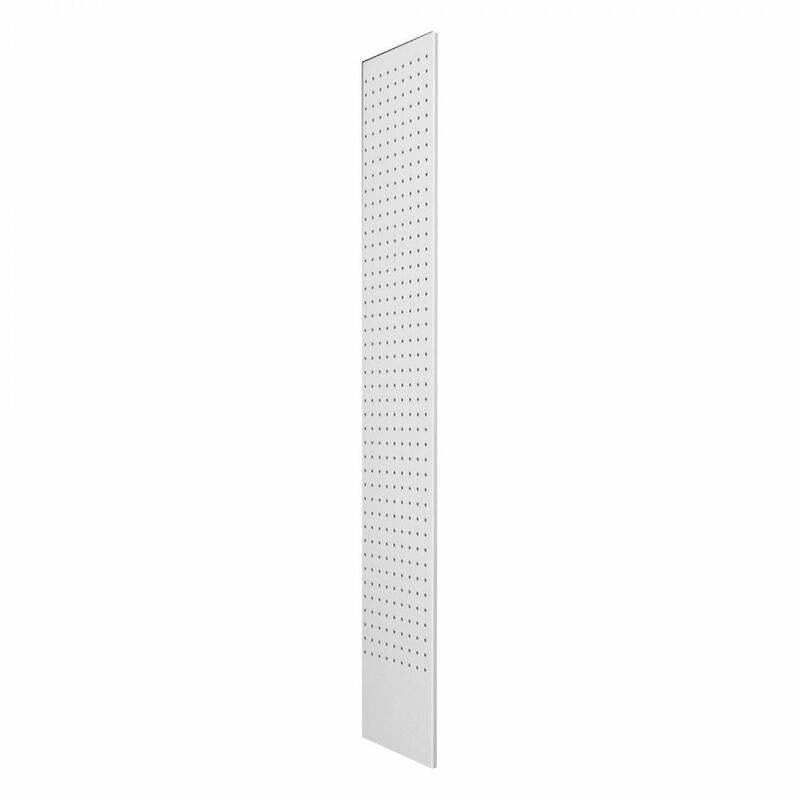 It was super heavy duty, easy to use and mounted in my office. Looking at several others, this was the best buy for the money and best of all, DOJ approved. Confident with locking my pistol inside it. Very happy! Very heavy duty case, packaged well and in great operating shape upon receipt. 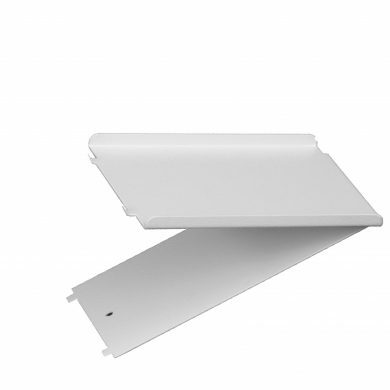 The deep door adds an extra layer of protection and ensures opening for theft will be very difficult. I am very happy to keep my guns that protect me and my family in a VLine safe so they are easily accessible, yet safe from theft and my kids. Very heavy, well-made safe. Easily secured it to the floor and it will definitely do the job. Love that it is made in the USA. I do think the lock numbers should go 12345 vs 54321, but that is a minor detail. Was extremely happy with customer service. I had an issue setting a new combo (totally my fault). Called customer service. Spoke with Michelle right away and was up and running in minutes. Michelle was super friendly and extremely knowledgeable. I recently bought a second ‘Brute’, so this should already tell you enough about how happy I am with the product. If you’ve read reviews about small safes, you probably know that this design is one of the few that is legitimately lockpick-proof. 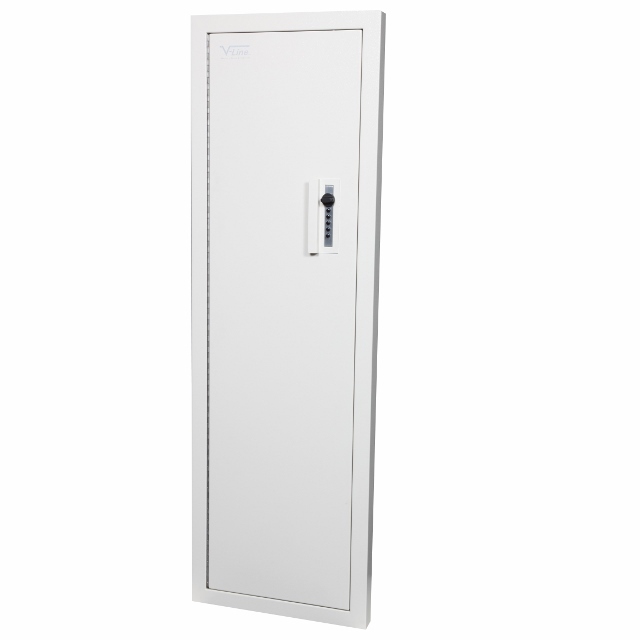 Most front door designs can be lockpicked in a matter of minutes, while this top-opening design (think of the classic “Fort Knox Gun Safe”) is much harder to open. The Brute improves on this simple, but effective design, with nice thicker metals, good quality materials and very smooth opening and closing. 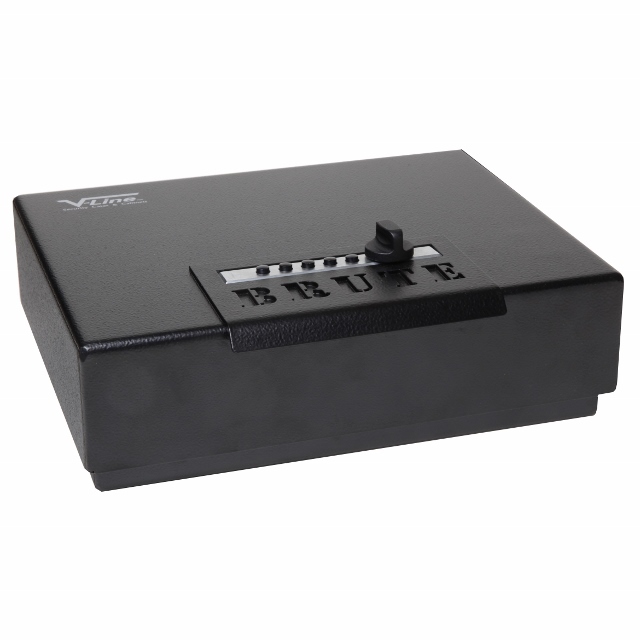 Reliable quick access genuine SIMPLEX mechanical push button lock. Four pre-drilled 1/4″ holes for mounting.